Re: The missing link AMX. THAT AMX is awesome thereverendbill. Can't say I'm a fan of the one rmick posted. Wow! If I had that I wouldn't have bought a Corvette. That thing is incredible! Wow, yeah that's an interesting AMX as well. Weird how the hatch opens up like that. It opens that way because it contains a rumble seat - or "ramble seat" as it was called in this case. 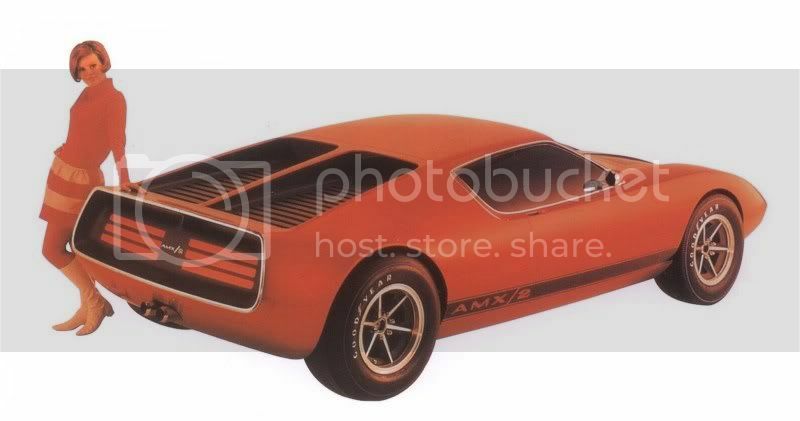 As for the AMX/2, there were at least three different Hot Wheels versions of it. I like it, except for the really huge gas door! Without "me" its just "aweso"
80's chicks are the hottest!